and free from phosphates, phthalates, SLS, SLES and dyes. This gentle, sudsing formula gets your dishes spotless, even in the hardest water. Scented with essential oil of Clementine for a crisp, citrus aroma. Most dishwashing liquids can get your dishes clean. But at what price? We’re not talking money—we’re talking subjecting your skin to the harsh chemicals found in conventional products. Your family deserves better! 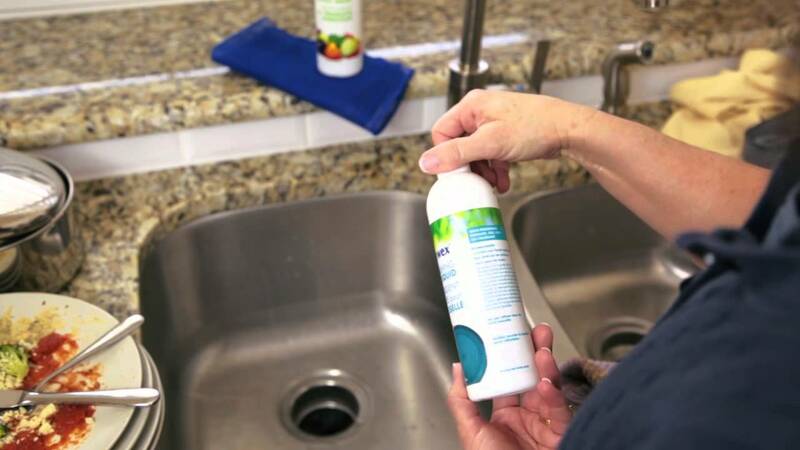 Norwex Dishwashing Liquid is free of toxic ingredients—it's a dynamic combination of a socially responsible formula and cleaning power in one that offers you peace of mind. Gentle to your hands and dishes, even fine china. • Use 10 – 15 ml (about one tablespoon) in a sink full of water. Wash dishes using our Dish Cloth and rinse thoroughly. • Do not mix with other cleaners or use in automatic dishwashers. • Ultra concentrated and formula contains biodegradable ingredients. Many dish soaps contain unnecessary ingredients such as phosphates, which can create “dead zones” by washing into streams and rivers. They eventually make their way to the ocean, where they feed algae and bacteria, which can then grow uncontrollably, consuming much of the oxygen in the water. This in turn can cause fish and other ocean life to suffocate.